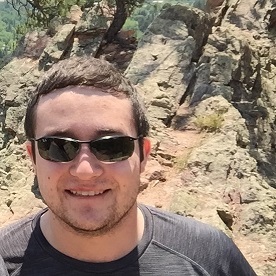 Tutor Profile - Andrew F.
Bio: I have recently obtained a BA in Physics at the University of Colorado Boulder, with plans to continue on to a PhD in the future. I have been tutoring for a little over four years now in the areas of math and physics, three of which have been for CU Boulder. I love to help students gain a new appreciation for these subjects, allowing them to gain a new understanding of the importance of what they are learning. Seeing the sudden moment of understanding, along with a new sense of wonder, is what drives my love for teaching. Experience at High Performance Tutoring: Andrew has worked at High Performance Tutoring for 3 months and has helped 5 of our students learn effectively, build academic confidence, improve grades, and raise test scores. Andrew is highly knowledgeable, great at teaching, has a wonderful personality, and has proven over time to be very reliable.